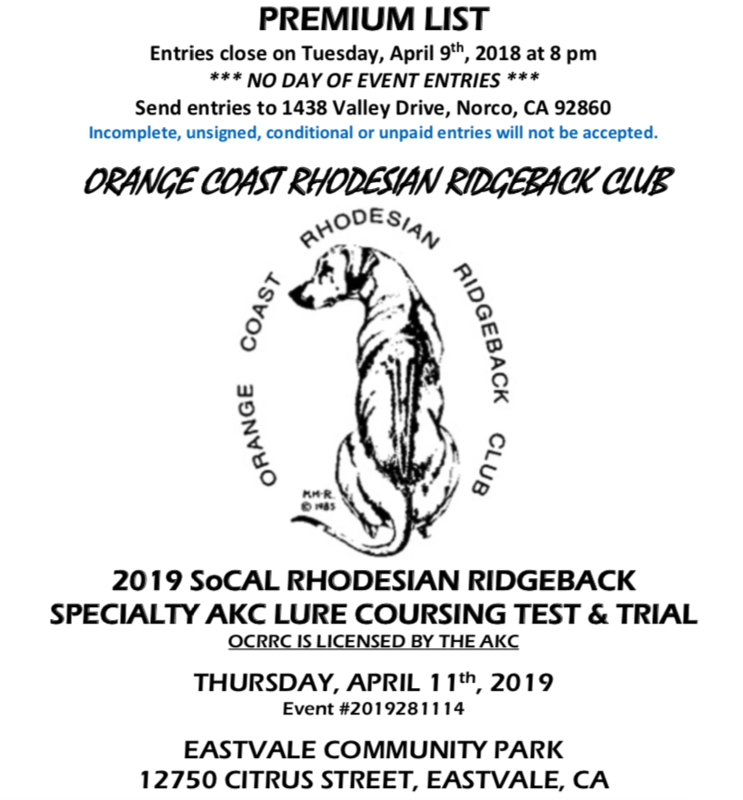 The Orange Coast Rhodesian Ridgeback Club was formed in late 1980 with the intention of achieving official sanction by the American Kennel Club, thereby enabling it to hold pointed specialty shows and satisfy a growing regional need for education of owners, breeders and exhibitors involved with the breed. We reached this goal in April 1987 and have been going strong ever since. Click here for a link to our national club and learn about the benefits of becoming a RRCUS member, including special awards and recognition for your accomplishments with your dogs, as well as national specialty premiums and legislative updates affecting our breed.